You'll be taken to another screen where you'll select the destination project. That's all. Note that this setting affects all the projects, but you can change it whenever you want. 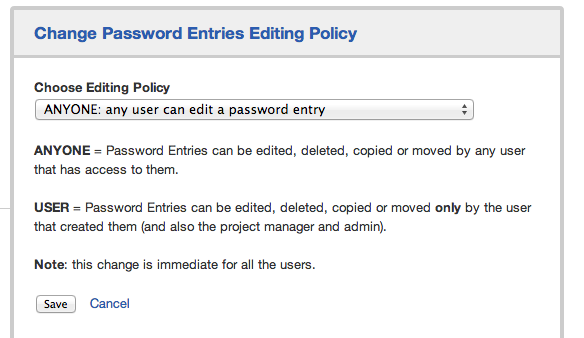 Admin users can now import or export password entries from and to CSV (Comma-separated values) files in Team Password Manager. We're preparing a document to explain this feature, but if you need to use it there's enough help within Team Password Manager. We hope you find these new features useful. Feel free to comment on them.